Stories, adventures, and sometimes, just the way I see it now, wherever I may be. My friends know my passion for food, and that I have been attempting to improve my knowledge and craft by taking cooking lessons at George Brown this past winter. 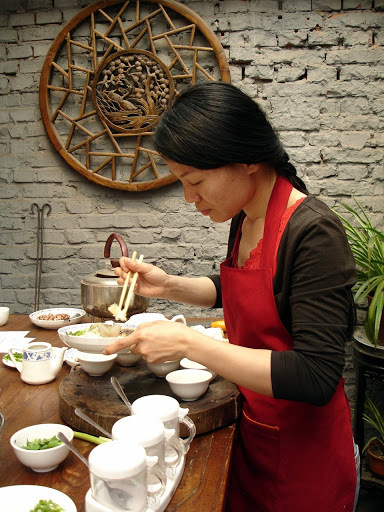 I wanted to take cooking lessons in Beijing, which led me to the home of Chunyi Zhou and her hutongcuisine cooking school. 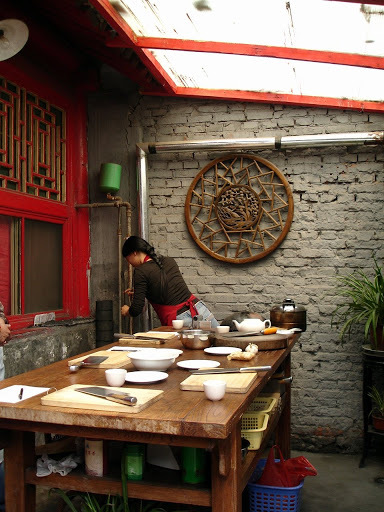 Lessons are given in the tiny kitchen courtyard of her hutong home in the Hou Hai Lake area, a very popular hotspot for clubs and restaurants. Her home is off Nanlouguxiang, a renovated and consequently pretty street with high end craft shops and quirky comfortable café’s – I posted pics from it last week. It is very touristy but up market, so no pesky touts or aggressive stall owners. 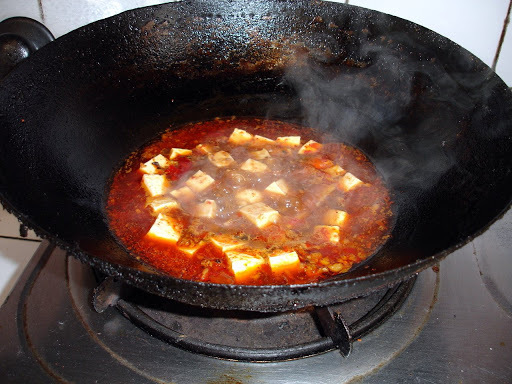 Since Beijing is the capital city of China, most of the tourists you will see here are other Chinese, and English will be spoken infrequently. In fact, if you are blonde, don’t be surprised if you asked to pose for a photo with Chinese visitors from the rural provinces – yellow and red hair are still a source of wonder there. The classes are small and intimate – I suspect the most she could handle is 6 students at a time. On Thursday, my fellow devotees were a bejeweled lady from Limoges France, here for her architect daughter’s wedding, and a friendly mother and daughter from Germany. China seems to be a favourite destination for European children of a certain socio-economic group between finishing graduate work in their home countries. European graduate students have to get an internship in another country before finishing their master’s degree. Some of them, like this young woman from the Black Forest, are coming to China, falling in love with the place and making it their permanent home. 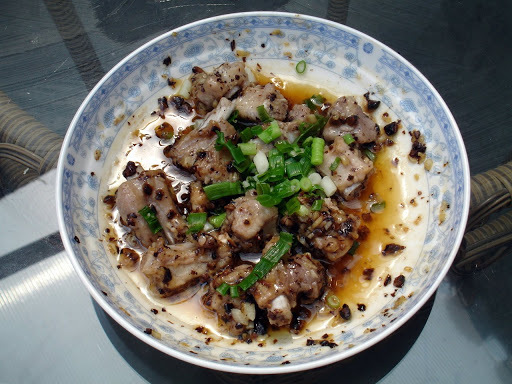 (Mom was not overly pleased about the change of residence, like mom’s everywhere I imagine) Our menu today was steamed butter fish, Cantonese style steamed pork ribs and black beans, Sichuan style stir fry tofu with minced beef and Sichuan cabbage stir fry. All very tasty and I did discover where I have been going wrong in attempting to replicate Chinese restaurant meals at home. Mostly to do with not enough heat, salt and sugar. 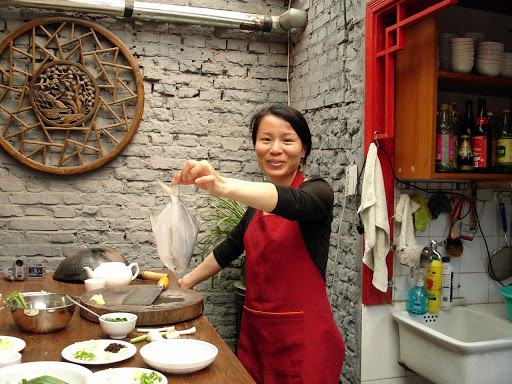 She teaches classes every day except Wednesday, and also offers an optional trip to the market and lecture on Chinese seasoning just prior to the main event. The class I took ran from 10:30 to 2:30, of course including lunch and materials and cost 180 yuan or $26, which I consider very good value for a learning experience, lunch and 4 hours of entertainment all rolled into one afternoon.